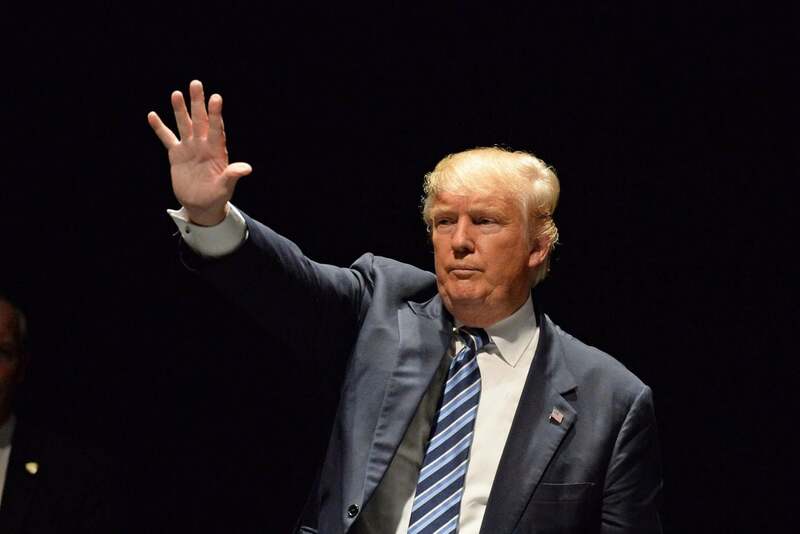 It’s a confusing time for taxpayers, especially with all these new ITR forms. Even after you know which forms were updated, you need to find out if it should be the one you will use. Then, you also have to figure out how to file these new returns and pay your taxes. But just because there are new forms does not mean you can forget the old forms already. In fact, for the ITR filing on April 15, corporations are still required to be used. 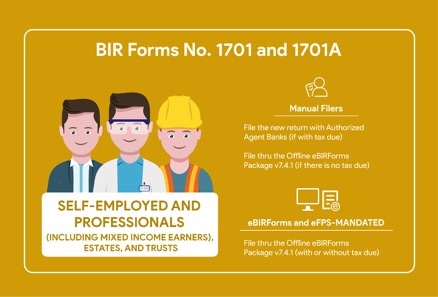 For individuals, while they need to use the new forms, not all are available in all BIR filing platforms. Employees whose income tax has been correctly withheld no longer needs to file income tax returns. However, employees with two or more employers within the year are still required to file the ITR for employees (BIR Form No. 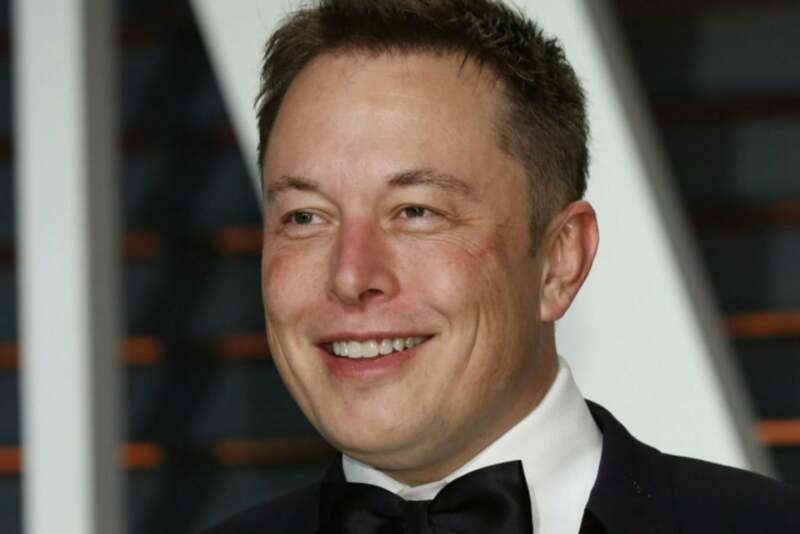 1700). 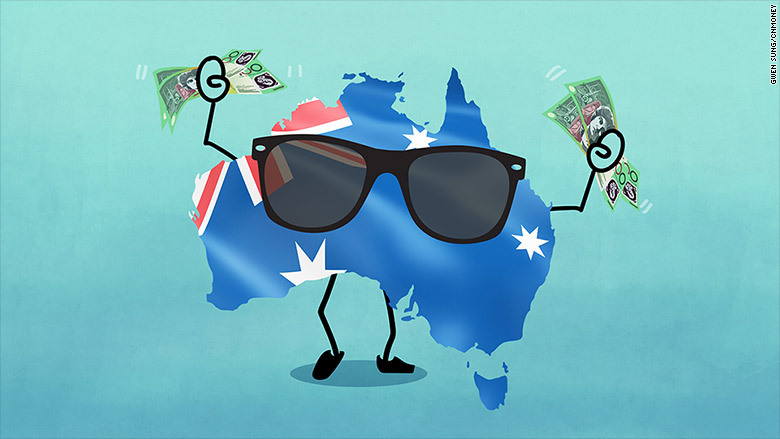 Non-resident aliens not engaged in trade or business are also required to file. Assuming the tax has been correctly withheld and there is no tax due, the employee only needs to file using the new form in the Revenue District Office (RDO) they are registered in. If there are still tax dues, however, the employee will need to file with Authorized Agent Banks. 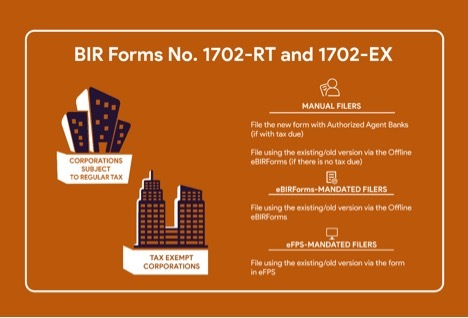 The new BIR Form 1700 cannot be filed via eBIRForms or eFPS for now. It needs to be downloaded from the BIR website and filed manually. For Self-Employed and Professionals, there are two forms: BIR Form No. 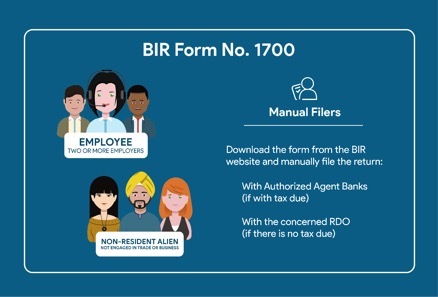 1701A and BIR Form No. 1701. However, no matter which form you are required to use, the filing and payment method remains the same. There are only two methods available for filing – manual or eBIRForms. Unfortunately, neither 1701A nor 1701 are available via eFPS yet. For manual filers, if there is tax to be paid, the new forms need to be filed manually to Authorized Agent Banks. However, if there is no tax due, the form needs to be filed via the Offline eBIRForms Package v7.4.1. Taxpayers mandated to use eBIRForms can, of course, use the latest package of the Offline eBIRForms whether there are tax payments or not. Since the new form is not yet available via eFPS, taxpayers mandated to use the eFPS platform needs to file via eBIRForms. There are three forms to be used for corporations: BIR Form No. 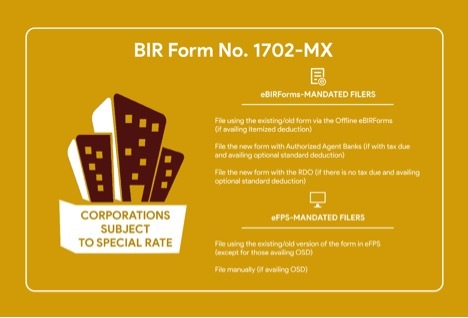 1702-RT (for regular corporations), 1702-EX (for tax-exempt corporations), and 1702-MX (corporations subject to special rates). For the purpose of filing and payment methods, 1702-RT and 1702-EX can be grouped together. 1702-MX, on the other hand, requires different methods. 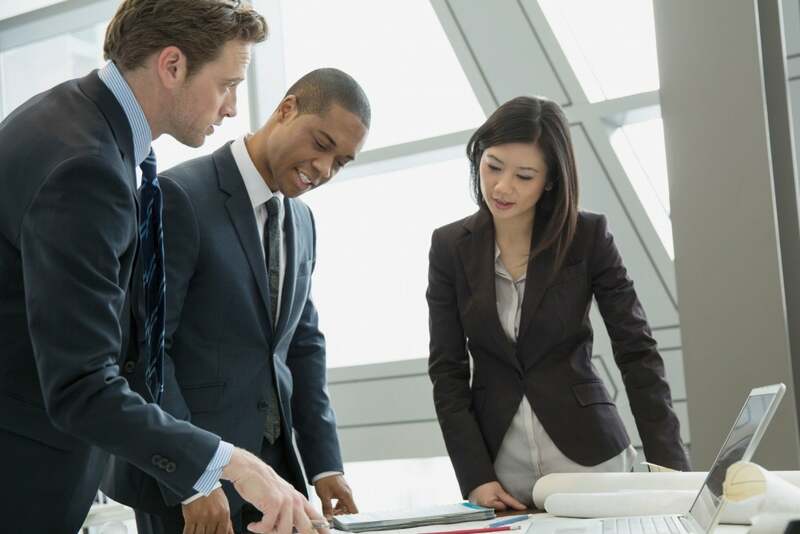 For regular and tax-exempt corporations, the filing method can be done via all the platforms, but not all filing methods will make use of the new forms. For manual filers with tax due, the new form needs to be filed with Authorized Agent Banks. On the other hand, if there is no tax to be paid, manual filers need to use the latest package of the Offline eBIRForms. Keep in mind that the forms in the latest eBIRForms package are still the old versions. Despite that, they are still the required forms to be used. eBIRForms-mandated taxpayers will also need to use the old forms in eBIRForms, whether there is tax due or not. Similarly, eFPS-mandated corporations are required to use the old forms in the eFPS facility. 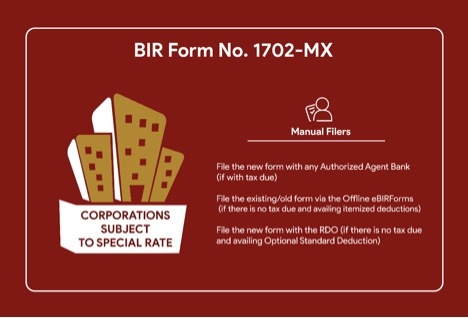 Corporations subject to special rates, or those required to use BIR Form No. 1702-MX, need to file differently. 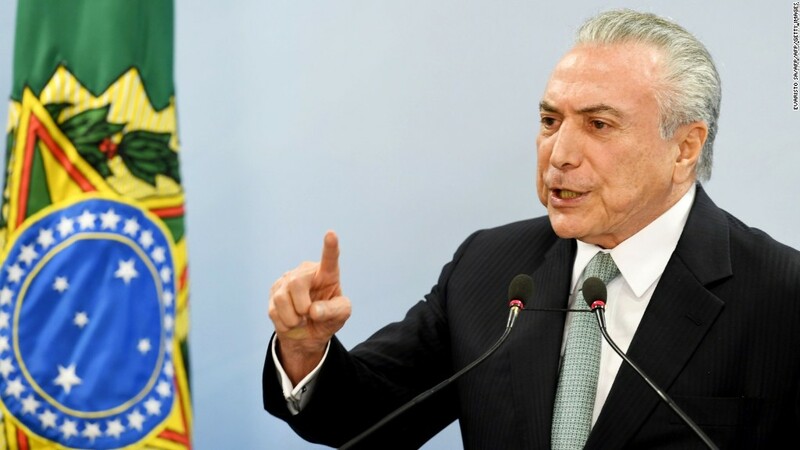 They also need to take into account the method of deduction to be availed. For manual filers, with tax due, they can already file the new BIR Form No. 1702-MX with any Authorized Agent Bank. If there is no tax due and the taxpayer is availing itemized deduction, then they need to use the old version in the eBIRForms platform. On the other hand, if there is no tax due and the taxpayer is availing optional standard deduction, then they will need to use the new form and file it manually to the RDO. 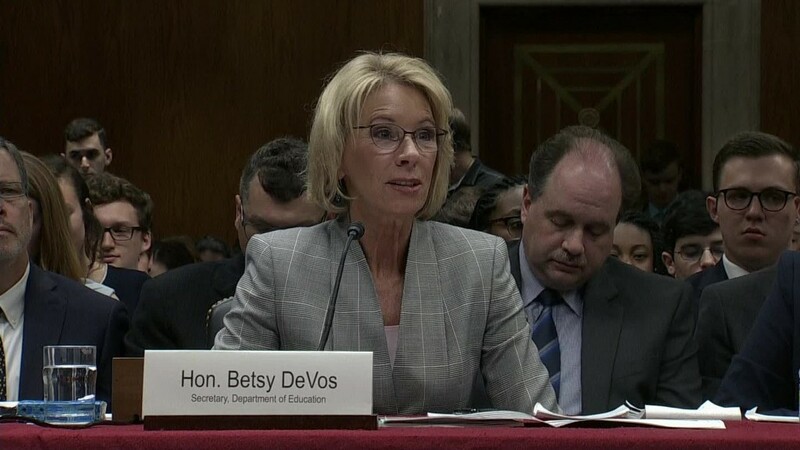 On the contrary, for eBIRForms-mandated, if the taxpayer is availing itemized deductions (regardless of whether there is tax due or not), they need to use the old forms via the eBIRForms. If availing the optional standard deduction, then the new form will need to be used and filed manually with Authorized Agent Banks (if there is payment) or the RDO (if there is no payment). Lastly, for eFPS-mandated taxpayers, they need to use the old form in the eFPS facility, except for those availing the optional standard deduction. Those availing OSD are required to use the new form and file manually.